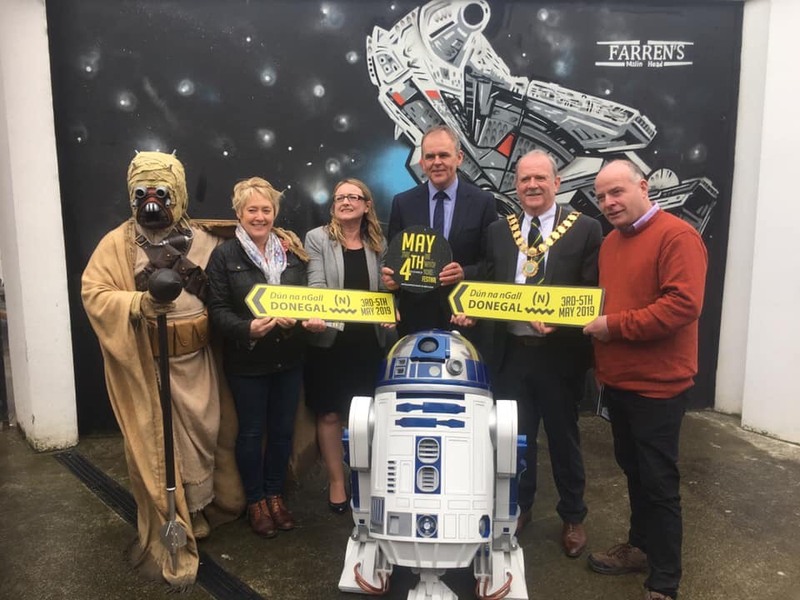 Fáilte Ireland has today unveiled the programme of events for this year’s ‘May the 4th Be With You’ festival on the Wild Atlantic Way, which extends to Donegal’s Inishowen Peninsula for the first time this year. Celebrating May the 4th, the day when fans across the globe commemorate the Star Wars Universe, the festival includes a Star Wars themed 3km Fun Run, Yoda Yoga on the beach and outdoor drive-in movie screenings. “The ‘May the 4th Be With You’ festival is a wonderful way to celebrate the Star Wars filming location at Malin Head and it promises to be an action packed weekend. Today we not only announced the programme of activity, we officially cut the ribbon on the newly renamed “R2D2”, formerly the R242.